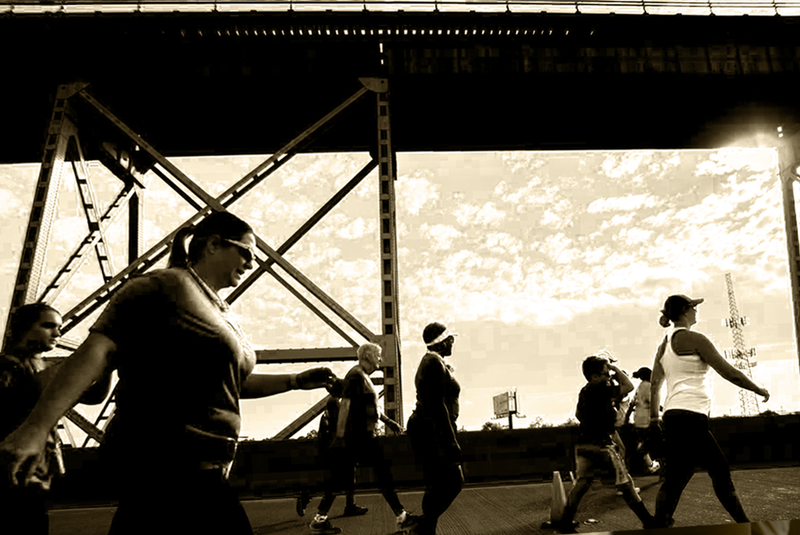 The Great Huey P Long Bridge Run has been held on Mother’s Day Weekend to “Celebrate the Mothers in Our Lives”. Since the widening of the bridge, the 5K (3.1 mile) run/walk has provided majestic views from an historic bridge, which was established in 1935 and revised in 2013. After crossing the Mighty Mississippi, runners enjoy the Abita After Party at the Gumbo Festival Park. We serve up live performances, gumbo from the Bridge City Gumbo Festival krewe and homemade jambalaya from the Jambalaya Girl and many Abita Beers and Root Beer on tap. Our Mission is to advance participation and expose new runners/walkers to the sport as a part of an active lifestyle. We intend to achieve this goal by offering local municipalities, corporations, schools, social organaizations and families an opportunity to run, walk, volunteer or cheer. The Huey P Run draws particiation from Jefferson Parish, throughout the Greater New Orleans Area and across Southeast Louisaina. The event serves as a vehciel to generate awareness and fundraise for charities / non-profits - more details are released prior to each race in regard to charities and non-profit activities. In 2018, members of Youth Run NOLA and theri families were introduced to the bridge run and met the challenge to Geaux Over It! Mike Wattigny and Daniel Bourgeois founded the Huey P Long Bridge Run in 2013. Mike had been worked with local municipalities for several years prior to the bridge re-opening on a ribbon cutting ceremony and endurance event to celebrate the widening project. We are fortunate to have many family members, friends and colleagues with whom we have worked together over the last decade to produce the bridge run event in our hometown. Mike, a Holy Cross High School graduate, has been in the endurance event business for decades and currently produces races along the Gulf Coast. When he's not behind the scenes, he can be found at the starting & finish lines with a mic in hand talking up the runners and encouraging great performances. Danny was born in the Cresecent City and graduated from Jesuit High School. He knows what it means to miss his hometown. While he has been throwing parties, hosting events and marketing for businesses in hospitality since the 1990s, he's has had several career stops in Atlanta - Ga, Las Vegas - NV and Jackson - WY.